A BOSS OF a seafood restaurant reduced a six month pregnant manager to tears when sacking her telling her ‘business is business, enjoy your maternity’. However, the Workplace Relations Commission (WRC) has now ordered the restaurant owners to pay the woman €30,000 after finding that she was discriminated against when sacked while pregnant. Yesterday, employment law expert, Richard Grogan condemned the ‘vicious attitude’ shown by employers sacking pregnant women stating that the ‘abhorrent’ practice must be stamped out. In the case, the woman, who worked as a restaurant manager, told the hearing that after being told that she was losing her job, she became breathless and could only ask if it was a final decision. The woman said that after the two-minute meeting with her boss she immediately went straight down to the bar area and broke into tears. The woman told the hearing that she was shocked, shaking and was unable to drive home. The woman was pregnant when commencing work for her employers in March 2015 and told her bosses on 8 May that she was pregnant after having a hospital ultra-sound the previous day informing her that everything was in order. The woman’s due date was 16 September and she said that there was a change in the work atmosphere after notifying her bosses that she was pregnant. However, the woman was sacked without prior warning within five weeks on 15 June of telling her bosses that she was pregnant. 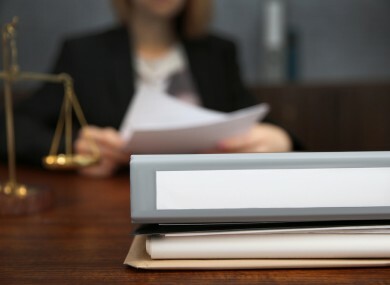 She told the hearing that she had no notice of her dismissal, she had not been subject to any disciplinary procedures and there had been no previous meetings or conversations suggesting a decision to dismiss her. The employer told the hearing that the worker’s dismissal arose from her performance during her probation period and was unrelated to pregnancy. Adjudication Officer in the case, Aideen Collard accepted that the employer had not sacked other pregnant employees in the past. However, Ms Collard said the employer failed to rebut the prima facie case made by the worker that she was sacked because she was pregnant. Mr Grogan was not involved in the case and welcomed the ruling but said: “It is no more and no less than a restating of the law”. Email “Woman who was sacked when six months pregnant to receive €30,000”. Feedback on “Woman who was sacked when six months pregnant to receive €30,000”.